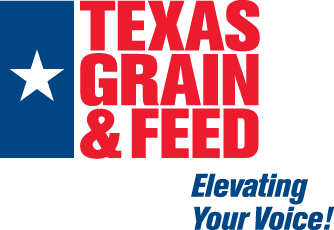 The Texas Grain & Feed Association (hereinafter referred to as the Lessor) offers to lease to Firm (hereinafter referred to as the Lessee) a booth(s) at Lessor’s exhibition at Hilton Austin Airport, Austin, Texas on April 3-5, 2019. Lessee accepts Lessor’s offer for the booth number listed on the invoice. PAYMENT Lessee’s exhibition space must be paid in full by the invoice due date or by the first day of the trade show, whichever comes first, to retain exhibition space. Due to the nature of corporate billing/calendar years, special payment arrangements may be made. Please contact Lessor’s office to set up. RESERVATIONS Exhibition space reservations made during the 120th Expo (April 18-20, 2018) will be honored as long as payment is received by August 31, 2018. CANCELLATION If Lessee cancels exhibition space prior to March 1, 2019, Lessor will retain funds received and a credit equal to funds received will be given to Lessee for exhibition space in 2020. If Lessee cancels exhibition space on March 1, 2019 or after, Lessor will retain funds and no credit will be given. No refunds will be given when Lessee cancels. NO EXCEPTIONS. Lessor reserves the sole right to cancel the exhibition for any reason satisfactory to it. If the exhibition is canceled, Lessor will refund to Lessee all monies paid by Lessee. Lessee is not permitted to sublet any part of its space, or to display merchandise of other manufacturers or dealers where no direct business conditions exist between them. Contents of exhibition space must not be of such nature or arrangement as to obstruct the view of or interfere with exhibits of others. Should there be any questions as to obstruction or interference of any exhibit with other exhibits in the area. The final judgment will be made by the Lessor’s Exhibits Manager. Lessor assumes no responsibility for the property of Lessee. Loss to property of Lessee from theft, vandalism, fire or other cause is solely the responsibility of Lessee. It is expressly understood and agreed that Lessee will hold harmless and make no claim of any kind against Lessor or any of its members or employees for any loss, damage to or destruction of property, nor for any injury that may occur to himself, his or its agents or employees while in the exhibit facility, nor for any damages of any nature or character whatsoever, including direct or indirect damage as a result of loss of business arising out of the exhibition or cancellation of it. Lessor will not knowingly violate any law or municipal ordinance, rule or regulation, but if such should occur, Lessor assumes no liability of any nature, including making refunds, if the exhibition hours are required to be changed. All booth trash will be the responsibility of the Lessee. If insurance is desired, it must be obtained by the Lessee. Due to the short time period of the exhibition, the frequently crowded condition of the exhibit facility, and the vital importance of avoiding any disruption in the orderly operation of the exhibition which might adversely affect other Lessees, Lessor reserves to itself the sole right to resolve any dispute or disagreement among Lessees, and Lessor’s decision shall be final. Sound equipment may be used for demonstrations only. Use of sound or music for attracting attention is strictly prohibited. Volume of sound must be adjusted so as not to disturb other exhibitors. Violations of this regulation should be reported to the exhibits manager, whose sole judgment shall be final in all such matters. Lessor assumes no responsibility and is not liable for music copyright infringement. Double end booths may not back drape or assemble free standing exhibits that block the view from exhibit booths directly behind them. If complaints are made, exhibitors will have to remove restrictive displays. Lessee agrees to be bound by the terms and conditions in this contract, the rules and regulations, and such additional conditions as may be established by the management or owners of the exhibit facility. Lessee further agrees to comply with the requirements set forth in the Grit Productions & Expositions Service Kit and the decisions of the show management. Service Kits will be provided to each exhibiting firm approximately three to four months prior to the exhibition.